Easter Island – A Parable for Our Times? 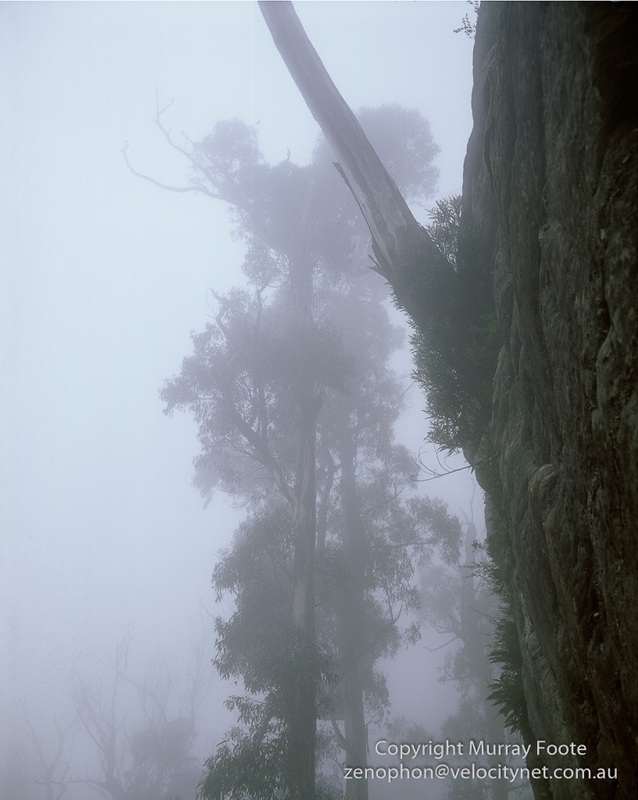 Comments on the image above: I was walking with a friend in the Budawang mountains in Morton National Park, probably in 1984, in driving rain and it was getting dark. My friend kept wanting to stop and bivouac anywhere with the least amount of shelter but I insisted on keeping on going because I knew what was ahead. We reached a huge “camping cave”, a great overhang on the side of Mt Haughton, and stayed there all of the next day out of the inclement weather. At the edges of the overhang, I was able to set up my tripod and take photographs out into the mist and rain from a nice dry location. At first glance it looks like a tree on the right with a branch coming off it, but it’s a cliff with a tree growing improbably out of the vertical face. This of course is well before the days of digital photography and I was using a borrowed Linhof Technika. This is a large format camera with a 5×4″ film size (9x12cm in Europe but a slightly different size) and it is a field camera because it folds up to a compact size. The film would have been Fujichrome 50 (before the days of Velvia).